The interdisciplinary Tales of Things and electronic Memory (TOTeM) project investigates new contexts for augmenting things with stories in the emerging culture of the Internet of Things (IoT). Tales of Things is a tagging system which, based on two-dimensional barcodes (also called Quick Response or QR codes) and Radio Frequency Identification (RFID) technology, enables the capturing and sharing of object stories and the physical linking to objects via read and writable tags. Within the context of our study, it has functioned as a technology probe which we employed with the aim to stimulate discussion and identify desire lines that point to novel design opportunities for the engagement with personal and social memories linked to everyday objects. In this paper, we discuss results from fieldwork with different community groups in the course of which seemingly any object could form the basis of a meaningful story and act as entry point into rich inherent ‘networks of meaning’. Such networks of meaning are often solely accessible for the owner of an object and are at risk of getting lost as time goes by. We discuss the different discourses that are inherent in these object stories and provide avenues for making these memories and meaning networks accessible and shareable. 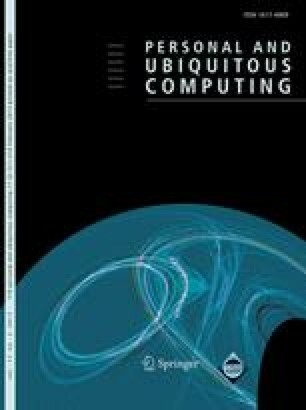 This paper critically reflects on Tales of Things as an example of an augmented memory system and discusses possible wider implications for the design of related systems. The authors would like to thank the people that participated in this research, all partners in the Tales of Things and electronic Memory (TOTeM) project and the Research Councils UK for funding this research through a Digital Economy grant.